A California marijuana distribution company plans to file a lawsuit soon over what its attorney alleges is a “conspiracy” between the state Highway Patrol and the U.S. Department of Homeland Security involving the seizure of a large amount of cash. According to a news release from Eureka-based Wild Rivers Transport (WRT) – a state-licensed transport-only distribution firm – California Highway Patrol (CHP) officers on Sept. 6 detained two employees who had been driving a company vehicle bound for Eureka on Interstate 5 after delivering medical cannabis products to the Los Angeles area. 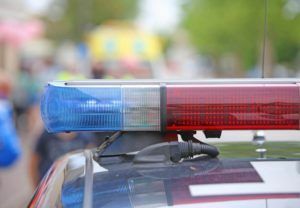 The employees had been stopped earlier by a CHP officer and received a warning for an alleged violation involving their vehicle’s mud flaps, according to the release. During a second stop by CHP, the Wild Rivers employees identified themselves and their state-legal business but were handcuffed and taken to the CHP substation in Merced, according to the release. The employees are former CHP officers, the release noted. “WRT parties had their cell phones seized, personal travel funds confiscated and were released without charges after being detained in handcuffs behind their backs for approximately 6-7 hours,” according to the release. The Department of Homeland Security was called in to “assume responsibility for the investigation” because the CHP allegedly “did not think they had enough to arrest” the detained employees, the release stated. Kumin said he believes the Highway Patrol and Homeland Security seized about $230,000 in cash from a safe in the Wild Rivers Transport vehicle and that the money has been transferred to DHS. Responding to MJBizDaily‘s request for comment, CHP Sgt. Christopher Swanberg wrote in an email that “the California Highway Patrol (CHP) wants to assure the public that it takes all allegations of misconduct by its employees seriously. Department of Homeland Security did not immediately respond to MJBizDaily‘s request for comment. Kumin called the incident illustrative of a “conspiracy” between CHP and DHS, since the latter is not bound by a federal law – the Rohrabacher-Blumenauer Amendment – that prohibits the U.S. Department of Justice from interfering with state-legal marijuana companies. “It’s a cowardly act by the federal government,” Kumin said. “The story for the cannabis industry is, are we going to be able to transport our stuff on California highways? Attorneys Marc and Craig Wasserman have also been retained in the case, Kumin said. Fire every single officer involved and then destroy them in court. Then they should do time in the prisons general population. Criminal cops are the worst. It’s time there are consequences for bad cops. lock um up! This would not have happened if we were allowed to have bank accounts. Law enforcement has a huge target on our backs. We are legal now, leave us alone. Find some other low hanging fruit! Pot is only legal now because of all the potheads in this state voted that way. It is still a drug. Just not as strong as many others. Educate yourself. It is helping the old, young, and handicapped. So what you are saying is ignorant. Do you support the pharmaceutical companies. It sounds like you do. Once the federal government wakes up they should be worried. Not those providing cheaper alternatives. If these guys start some type of fund to pay for their defense I’d be proud to contribute. This is a fight they’re picking on all of our behalf, and I for one am greatful. Here we go again. LEO will illegally conspire against the laws we pass until they are forced to understand that they work for the people. maybe lawsuits with terminations and department specific fines will wake them up. God bless all those who work to end the war on drugs. Let this horrible detention and theft transform into more power for our industry. The law must respect the law. Fight back and fight back hard. so, did they have the cash during the first stop, or did CHP wait until they delived the MJ so they could grab the cash, hence the need for the second stop later in the day? The Department of Homeland Security is a bureaucratic whale – now entering the war on legal marijuana. I guess there are not enough terrorists to keep them busy, so they are going after peaceful citizens. Or, as it turns out, agencies already in place are going after terrorists, and there is nothing for the overseeers to do: so they go after peaceful citizens when they are not down at the library looking at reading lists. The fact that former state troopers were involved in the transport might have been the deciding factor for bringing in DHS. Surely, not having enough evidence to arrest could not be what prompts this huge federal bureaucracy getting involved – or else we are all in serious trouble. There is not enough evidence to arrest me, for example. What about you? Are they calling in the Department of Homeland Security? There is no mention of weapons in the story. Usually, if there is a drug connection and the suspect has even a squirrel rifle, the feds will push weapons charges. Why hire ex troopers to haul drugs and cash, if not for their experience with weapons? Keep investigating this story. Thanks. Brody, I completely agree. John Schroyer needs to keep investigating this story. It would be interesting to see how this one plays out. We need to know if law enforcement will follow the law or continue the war. Most of us in this industry have some sort of story like this. Our company planted 26.19 acres of Industrial Hemp in San Joaquin County in 2016. We complied with all required rules and regulations provided for in Prop 64. The CDFA, the Sheriff dept. and the DEA were all properly notified, even stopping by during the grow. The DEA seemed genuinely interested in this new hemp program and used our grow as a learning process. These officers were genuine and professional. Three days before harvest and one week after the DEA tested and passed the THC content the local Sheriff in the dark of night raided the farm and stole our crop. It turns out the county held an emergency meeting without allowing any type of due process. The Sheriff and the Ag commissioner claimed at the podium during the meeting that they had discovered an illegal 500 acre pot grow. The county by a five to zero vote ordered it to be confiscated. This is how some communities react to our medicine. They feel compelled to save the world from this evil plant. Of course our response was to file a 77 million dollar lawsuit filed in Federal Court. We are in the middle of that now. So far the long term Sheriff is gone and next will be everyone involved with the theft of our hemp. Who’s the criminal now? The guys busted were both ex cops fyi, they were let go from CHP…….fact! Yeah, actually they were “let go” from CHP for stealing from evidence and Clemann ran for county sheriff, presumably to get access to more evidence. As there are laws prohibiting the funding of organized crime, I can no longer legally pay my taxes. These two CHP officers were not “retired” they are FORMER CHP officers that were FIRED for drug related issues.